Massage therapy is manual manipulation of soft body tissues (muscle, connective tissue, tendons and ligaments) to enhance a person's health and well-being. It's time to feel better! One hour massage for only $50.00. 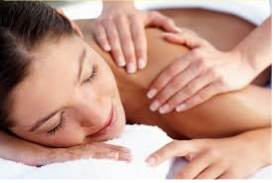 All Massages are performed by licensed Massage Therapist's. We accept cash only. No insurances accepted. Call today 954-596-8882 to Schedule your Appointment.